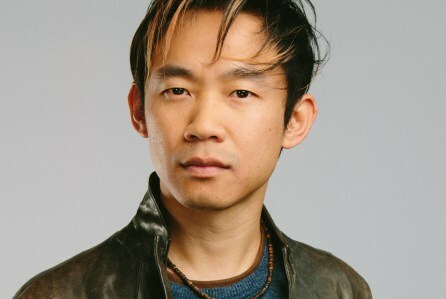 A Malaysian-born, Australian film director, James Wan is most known for his impact on the horror genre since debuting his short film Saw in 2003. Honing his unique style from a young age, the director won Best Guerilla Film at the Melbourne Underground Film Festival for his first film Stygian, before breaking fresh ground with the gore-filled Saw. Wan then became known as the dominating force in quality horror films with the likes of critically-acclaimed and box office hits Insidious and The Conjuring – the latter of which remains the highest grossing original horror movie of all time, second only to The Exorcist. The director’s next project sees him returning to the case files of Ed and Lorraine Warren in The Conjuring 2 (in cinemas June 13). 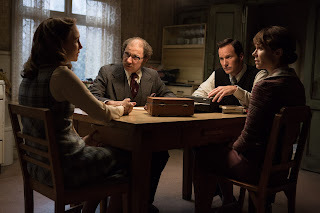 Vera Farmiga and Patrick Wilson reprise their roles as the creepy couple, who, in one of their most terrifying paranormal investigations yet, travel to Enfield, London to help a single mother raising four children alone in a house plagued by malicious spirits. Ahead of the release of The Conjuring 2, we take a look at James Wan’s impressive run of horror films in the 13 years since he made Saw; showing how scares can still be an art-form when they come from this modern master of horror. Demonstrating genius early on, after James Wan initially struggled to get the script for Saw produced he decided to shoot one of the scenes from the screenplay as a short film with the same title to attract attention. This worked and the film was green lit with a small budget and shot for 18 days. Telling the dark story of two men who wake to find themselves chained in a decrepit bathroom at the mercy of a sadistic mad man’s horrifying game, 6pm is the deadline for one man to escape and the other to save his family by killing him before he does. Although critical responses were mixed, the film gained a cult following and grossed $100 million worldwide – making it the most profitable horror film since Scream. With the extraordinary success of Saw, James Wan felt pressure from studios to create another gory horror and therefore made Insidious independently to ensure that he had creative control. Determined to show how restraint and silence could also be used to build scares, Wan stated that he enjoyed making “a film with lots of creepy, bizarre moments that a studio might not 'get. '” The story follows a family who try to prevent evil spirits from trapping their son in a creepy realm called The Further after a mysterious incident in their attic. The film’s twisted plot and slow build of suspense was lauded by critics and attracted cinema audiences in their droves, ensuring that a sequel would be in the works soon enough. 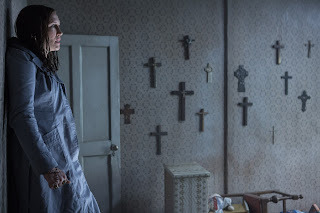 James Wan was drawn to stories of real-life paranormal investigators Ed and Lorraine Warren, a couple who have been linked to every major ghost story to hit mainstream news, including what is now known as The Amityville Horror and The Haunting In Connecticut. 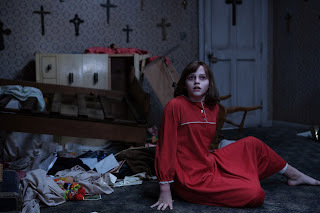 The Conjuring focuses on one of their most chilling cases, that of the Perron family, who become terrorized by satanic forces at their home on a remote farm. The film received positive reviews from critics and smashed the box office, grossing over 15 times its production budget and making a profit of roughly $161 million. 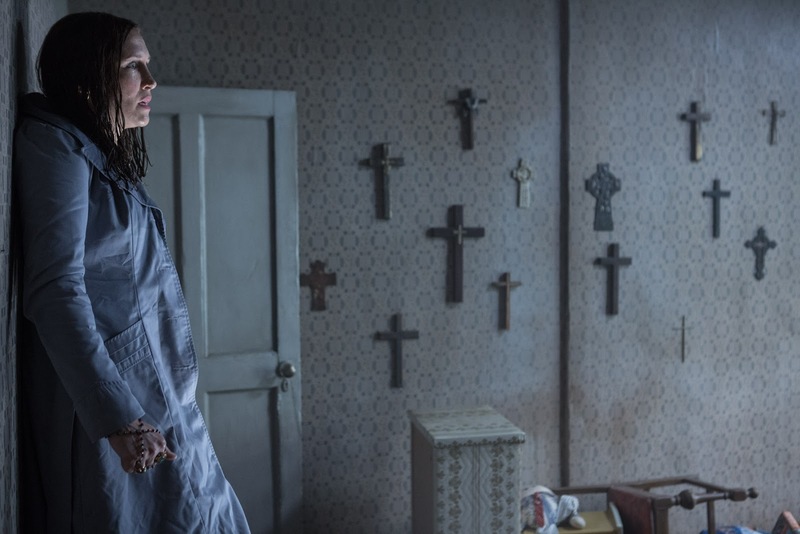 James Wan returned to make The Conjuring 2 after becoming excited at the prospect of continuing the saga of Ed and Lorraine Warren. Bringing the original cast back to scare cinema audiences once again, this time the Warrens cross the pond to investigate the notorious Enfield Poltergeist. Following the chilling case that gripped the nation back in 1977 involving the alleged haunting of two young girls in a suburban council house, the film is set to be truly terrifying.